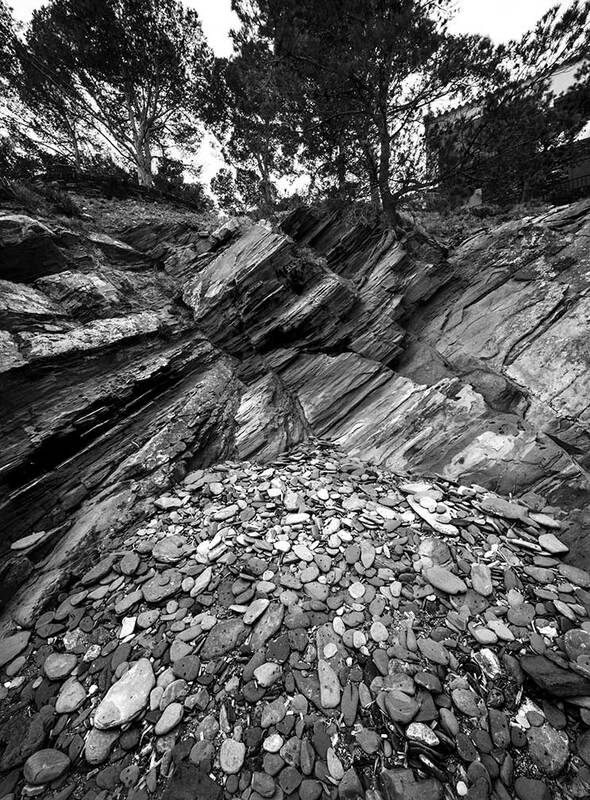 Photographic Story I was fascinated by the rocks on this beach! It was fun to photograph the round shapes of pebbles meeting the jagged linear rocks with the olive trees growing on top. I’ve always heard Dalí’s phrase “geological delirium” and when I got to this beach, I finally understood what it meant! Digital – Archival Pigment Print This photograph was taken with a high-quality digital camera. The photograph is printed on an Epson Stylus 4800 or 11880 printer. Clyde uses archival Ultra-chrome K3 i and prints on archival Harman Hahnemuhle paper. The limited edition photograph is then mounted and matted to current archival standards. This is a limited edition series and each photograph is numbered.